I used to play golf as a teen. In fact, I was pretty good: I came in first in some local junior league tournament. And then, the day after that, I quit. I’d simply had enough with what I felt was a meandering way to spend an afternoon. 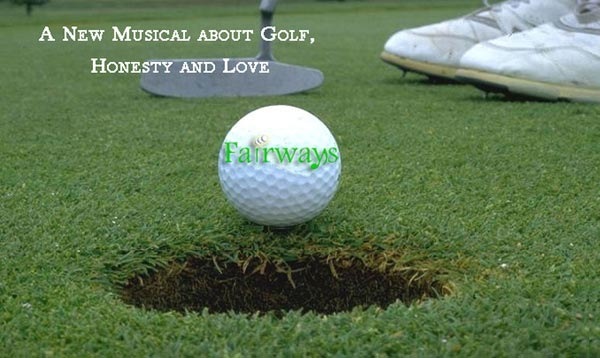 This echos my experience at Fairways, the earnest new musical by the newly-established Endpoint Theatre that celebrates the sport of golf. The paperthin plot, which I won’t even go into (I think Menopause The Musical had more dramatic tension) barely holds your interest — especially in act two when the dialogue merely serves to help (cheesily) tee up another tune. But the music (composed by Curtis Powell, with lyrics by Mary Hutchings Reed) is articulate and tuneful, and the likable cast, which is made of several newcomers to the Chicago theatre scene, is having a (golf) ball (oh, puns!). What this show is, which I’m not sure the creators would agree with, is a revue — not a book musical. If you approach it that way, the show is a fun, joy-filled (if overlong at two and a quarter hours) affair. Based on his work here, it’s evident that Powell is a talented and versatile composer, as he’s evoked nearly every musical theatre musical sound possible — including ballads, folk songs, soft shoes, patter songs, a blues number and even rap. A big chunk of the musical demands are given to the “caddie” (Bobby Arnold) and the “golf pro” (Brandon Moorhead), and they’re each talented performers, whom I’m sure we’ll see more of. I also think the show may have benefitted from paring down the numerous ancillary characters and showcasing some of the scene stealers, including Jim Heatherly, Regina Webster and (my favorite) Mary McCain. These three adults had relatively minor roles, but seem to know exactly what kind of show they’re in, and could sell this material with ease and personality — without resorting to tired musical comedy schtick. *I have to give my facebook friend Mike credit for the inspiration for this title. Clever man. Next Post Nazi usher or just doing her job?